The location on the piste. The village Avoriaz is very nice. Everything is on walkingdistance. The location was very convenient. It was cheap so you get what you pay for. Really convenient location with the ability to ski in and ski out. Very well located in the village with a supermarket very nearby. 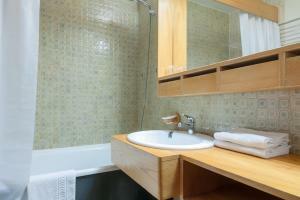 Good range of utensils in the kitchen and nice shower with unlimited hot water. Amazing view from the room, absolutley awesome, staff friendly. The location and the resort are more than great. I've been in Chamonix, twice in Val-Thorens and Tignes in France and Avoriaz is one of the best if not the best. 3 Vallees may be more elegant at some points but overall Avoriaz is a great choice. Making the bed and vacuum cleaning everyday. Being able to order bread. Room was clean and tidy. Staff was very kind. The apartment was nicely warm and cosy with a fantastic view from the balcony! You can ski easily to the slopes. 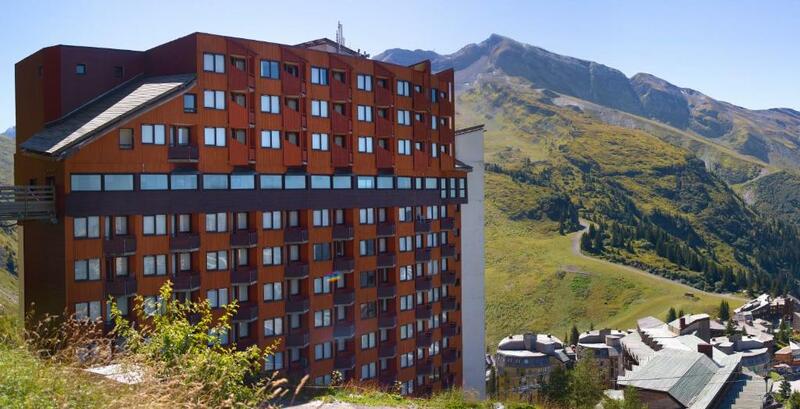 Set near Morzine, in the resort of Avoriaz, Résidence Pierre & Vacances L'Hermine welcomes you near the ski elevators and offers direct access on skis as well as free shuttle service. 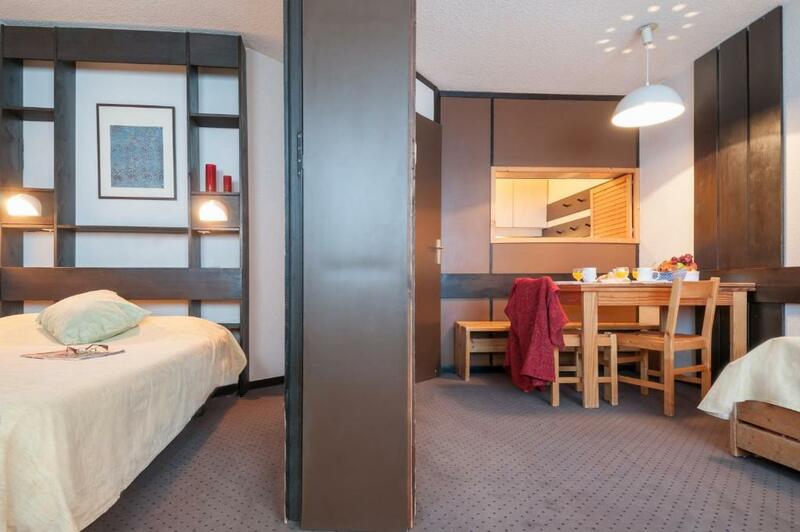 Composed of 16 floors and fitted with an elevator, the residence offers free access to the sauna (reservation needed at the reception), free ski lockers and a game room. 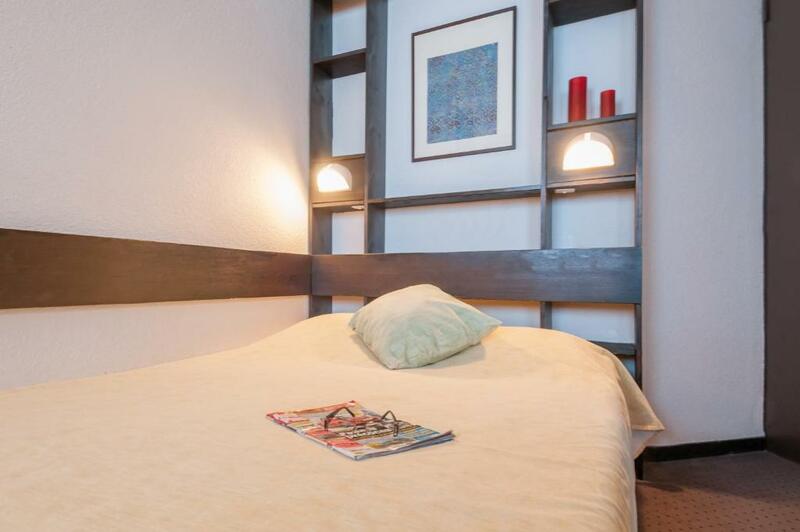 All 2-room apartments are comfortable and functional. They have a balcony and most of them come with beautiful view of the nearby mountain area. The accommodations are fitted with lounge with sofa bed, bedroom, bathroom and television. A bread and pastry delivery service allows you to order your in–room breakfast the night before. 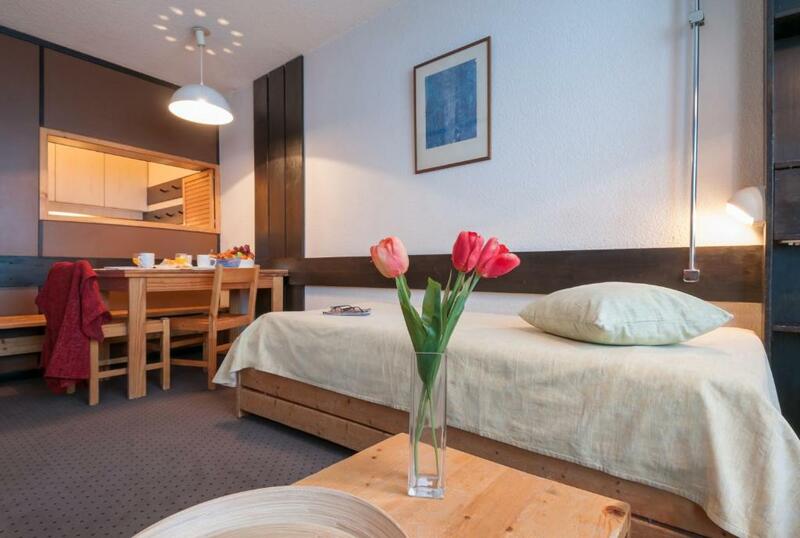 Many after ski activities are available just 1,000 feet from Résidence Pierre & Vacances L'Hermine. L'Aquariaz Moutain Spa is a 5-minute walk away, offering swimming pools, slides and an outdoor hot tub. When would you like to stay at Résidence Pierre & Vacances L'Hermine? 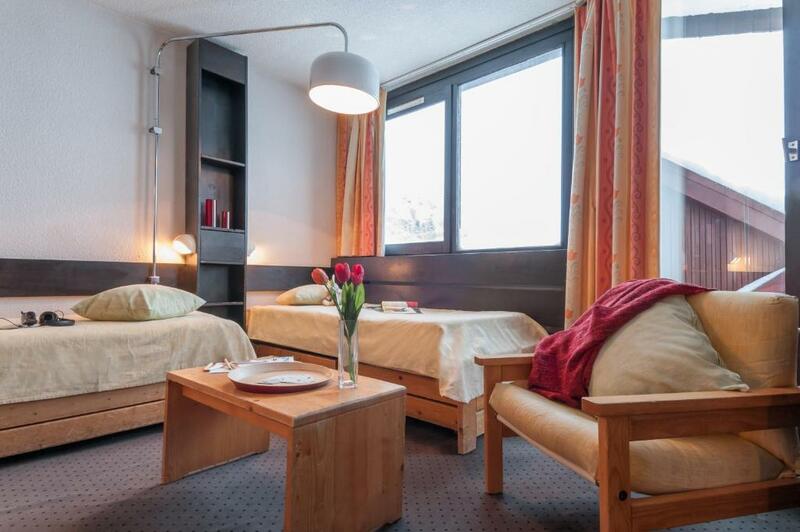 This apartment features a living area with two single beds and one pull-out bed (recommended for children). There is one bedroom with one double bed. It has one independent bathroom with a bath. The fully equipped kitchenette opens on the living area. House Rules Résidence Pierre & Vacances L'Hermine takes special requests – add in the next step! Résidence Pierre &amp; Vacances L&#39;Hermine accepts these cards and reserves the right to temporarily hold an amount prior to arrival. Résidence Pierre & Vacances L'Hermine accepts these cards and reserves the right to temporarily hold an amount prior to arrival. A baby kit, suitable for children under 2 years weighing less than 15 kg, is available at the property and charges are applicable. This kit is subject to availability and includes: 1 cot and 1 high chair for infants from 6 months old. Please note that video games, board games and pool table are available at an extra cost. The sauna was a nice feature. The apartmentbuilding is 40 years old and so is the interior! Everything had had his best times en needs a big renovation. Not worth the price! It's small, old and dirty. The sauna of the building is very gross. The staff is very young and thies their best, but someone has to take the lead there. They clean the apartment every day, but they clean it with a dirty cloth and we didn't see a bucket with soap. I didn't like all of the extra charges the hotel try to hit you with! 10 euros for not putting dirty towels in the bath is a joke. 100 euros for a missing key is very unfair. The room was advertised as 5 man but it would only just be comfortable for maximum 3 people. Staff came across as arrogant on departure trying to charge for as much as they could. However they were very pleasant on check in. Room was a bit small for 6 of us. Didn't realise i would have to clean the room myself before leaving, i had already got rid of all the rubbish and cleaned everything in the kitchen, utensils etc. on check out, the woman came with me to inspect the room, she told me i had to strip the beds of all the sheets, and gave me a wet cloth to clean the outside of the bin! i did not realise i was expected to clean the room! how strange! 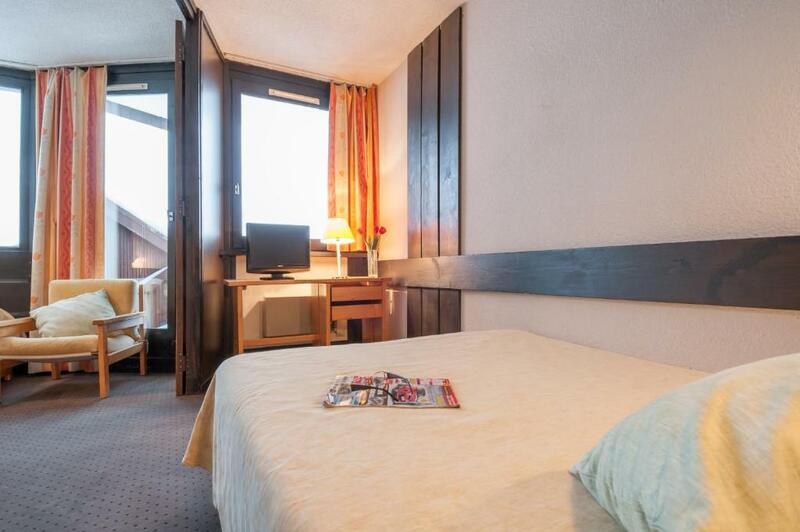 Accommodation is always a thing on Alps. L'Hermine is a good choice with an acceptable "value for money". 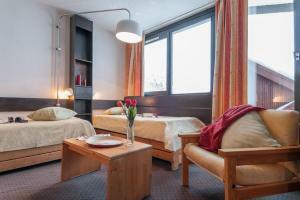 A good tip would be to always rent rooms for 2 more persons than you actually are to have some decent space. Access to the hotel reception through a single lift which gets very busy. Ski lockers at reception mean you have to take all your kit up the lift. Not the end of the world, but tricky when you have kids and there are lots of other people doing the same. The room description was misleading. It’s said 4/5 adults, however in reality you wouldn’t want more than 3. Not cleaning the kitchen and the bad conditions of some mattresses. Shabby dated and cramped for 5 people. we did not enjoy being taken to the room on departure with a cloth and cleaning products for them to perform an inventory check. A hoover would have been good to have been provided. No info provided on how to get down to town we walked 3 children on the rd everyday there and back on the last day we found that we could use the elevator through hotels to get to the main town centre. The toilet was too small as well as the ski depot. We had to fill in the inventory list which was a bit annoying to be honest. Deposit was too big as well.